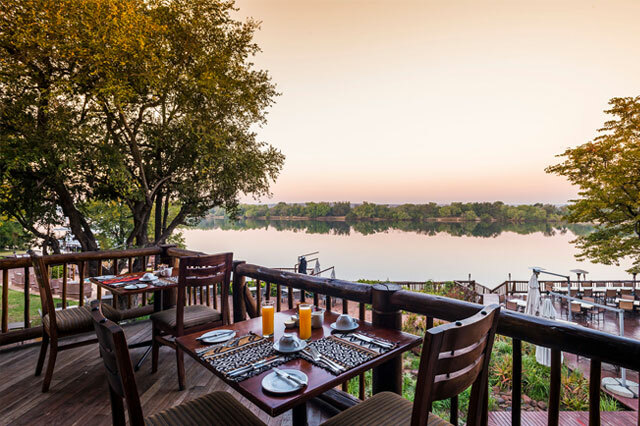 The award winning 4* David Livingstone Safari Lodge & Spa ideally mixes luxury and comfort on the banks of the Zambezi River, a stunning setting in the Mosi-Oa-Tunya National Park with fantastic views of the spray from Victoria Falls. 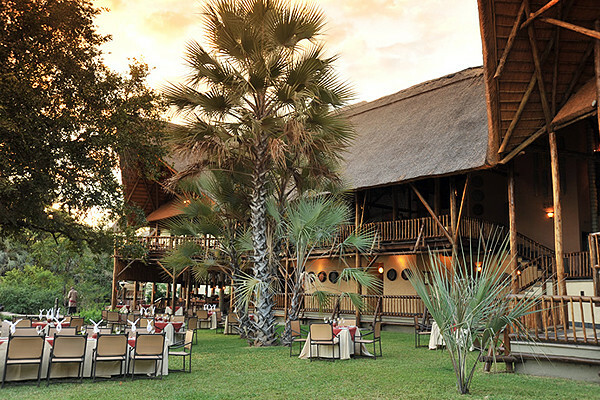 This luxury Livingstone Lodge has all the modern comforts that a guest would need as well as many unique features to make your stay as enjoyable as possible. 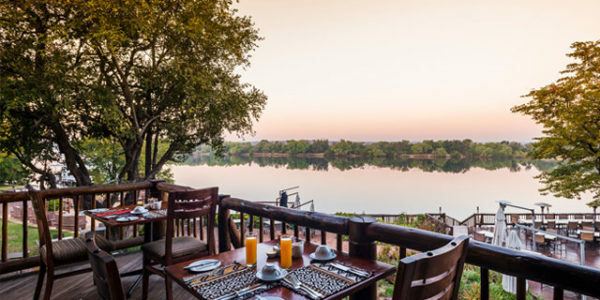 The David Livingstone Safari Lodge boasts all river-facing accommodation so each guest can enjoy the view that once captivated David Livingstone, the intrepid explorer and missionary who was the first European to set eyes on the Victoria Falls. 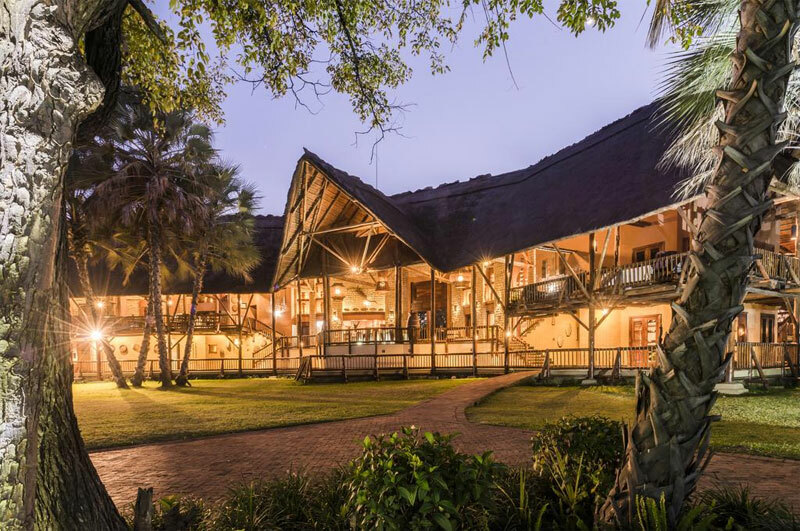 This fantastic Livingstone Lodge is within easy reach of all the major activities with the Safpar Activity Booking Office situated right next door at the Victoria Falls Waterfront. 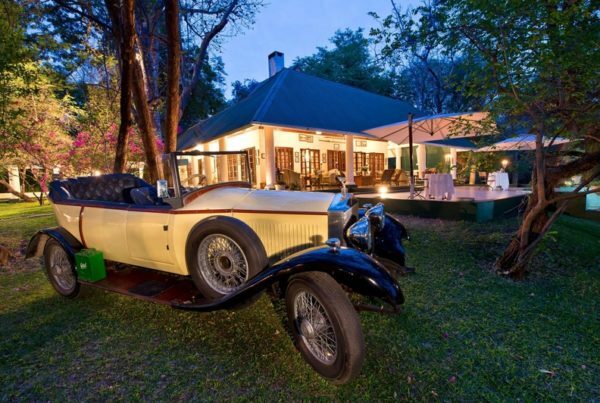 Activities range from the ever popular white river rafting to game drive safaris and helicopter or microlight flights over the Victoria Falls. 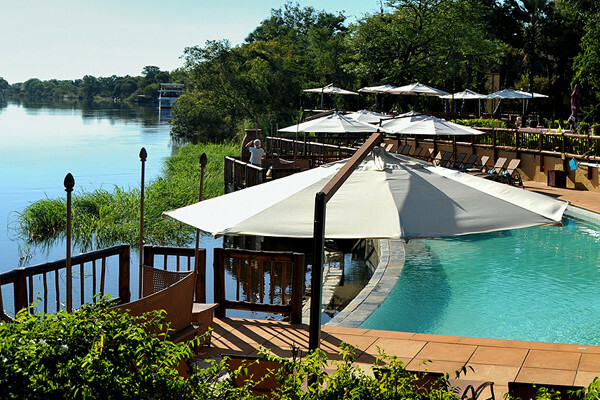 The lodge has its own beautiful 5* river cruise, the Lady Livingstone, which is moored alongside the hotel. 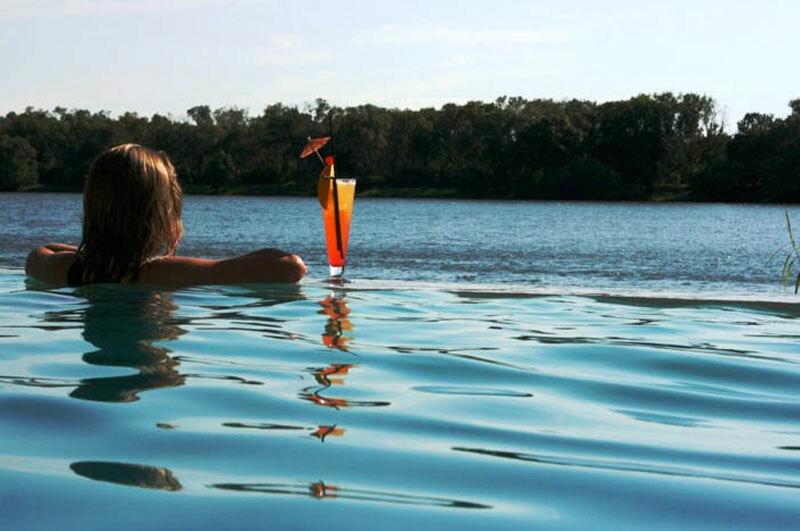 Each day the Lady Livingstone departs for a quintessential Livingstone activity – the sundowner cruise. 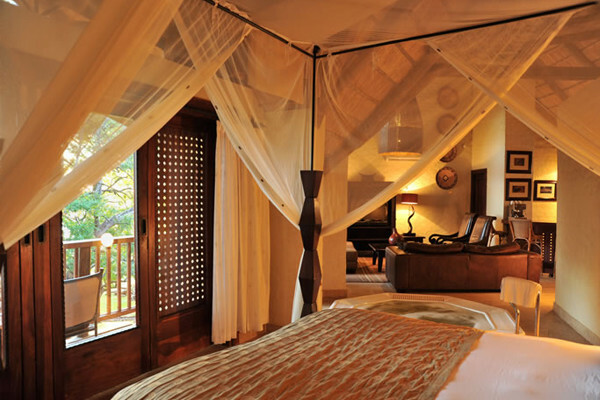 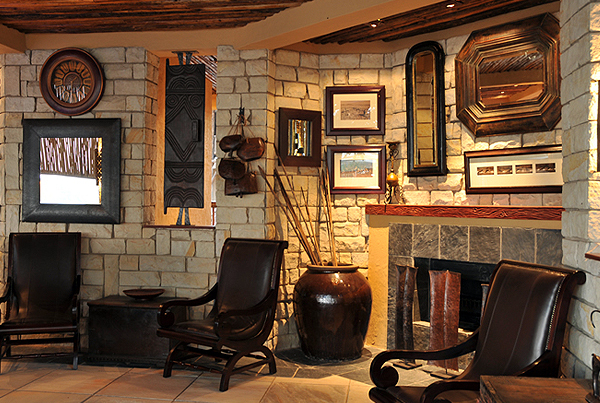 The David Livingstone Safari Lodge offers two restaurants, Kalai and Gwembe Terrace and the Ujiji bar offers a wide selection of South African and international wines, and a variety of unique cocktails created by the skilled bar butlers. The Lodge has 77 rooms, all en-suite, of which 5 are executive suites, 4 rooms inter-lead and are ideal for families and 2 rooms accommodate the disabled comfortably. 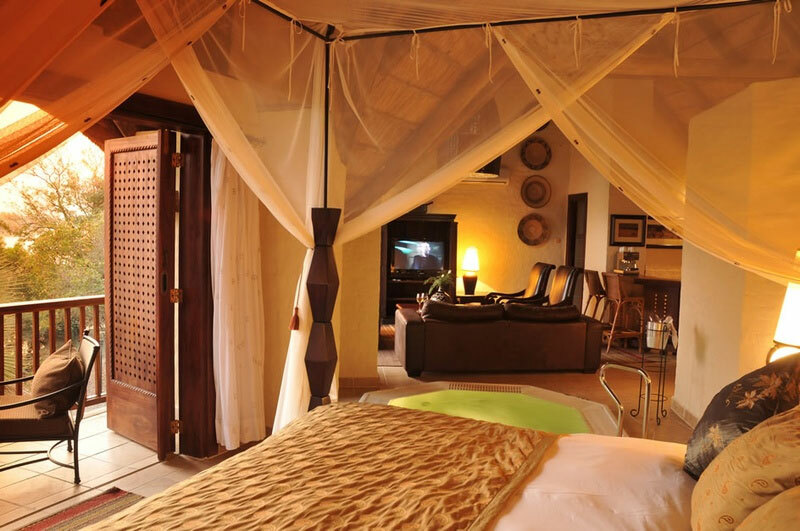 All rooms are equipped with modern facilities such as flat screen satellite TV, safe, mini bar, tea & coffee facilities, air conditioning and all bathrooms have separate bath and shower. 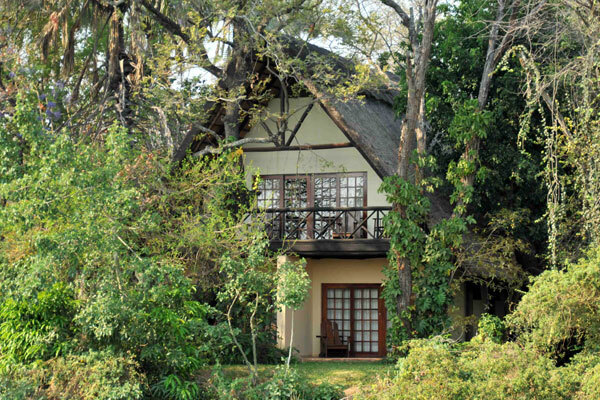 The rooms look out over the Mighty Zambezi and a leisurely sun downer can be enjoyed from your private balcony. 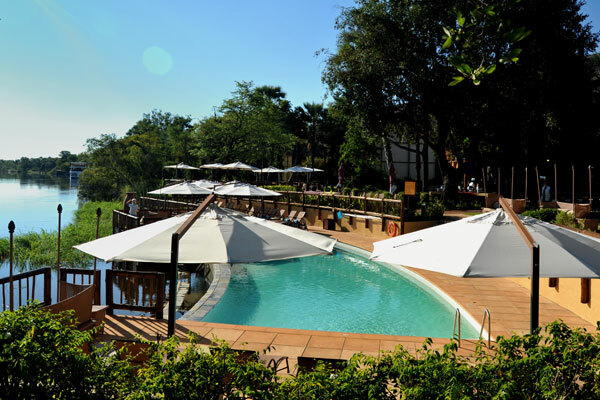 The spa at this exclusive award winning Livingstone Lodge has also won awards in its own right and is one of the best spas in all of Southern Africa. Offering a wide variety of therapeutic and beauty therapies and treatments, ranging from intensive sports therapies to mud wraps, facials and manicures. 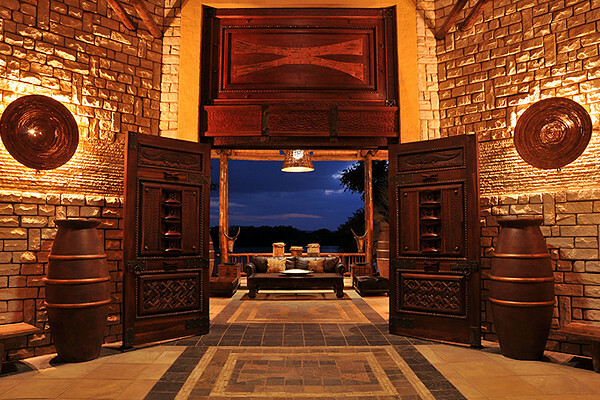 There is a gym for the guests use based at The Spa. 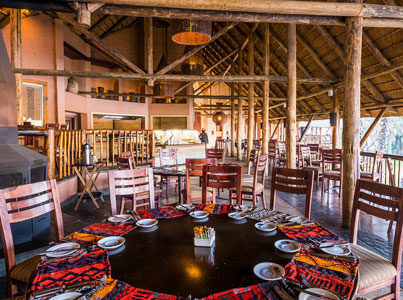 The lodge is known for its fantastic cuisine and offers a few different eating options such as The pool deck, Gwembe Terrace and The Kalai Restaurant offering 5* quality dishes and fantastic. 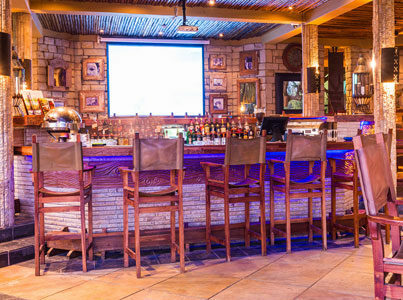 Drinks and signature cocktails are enjoyed at the Ujiji Bar. 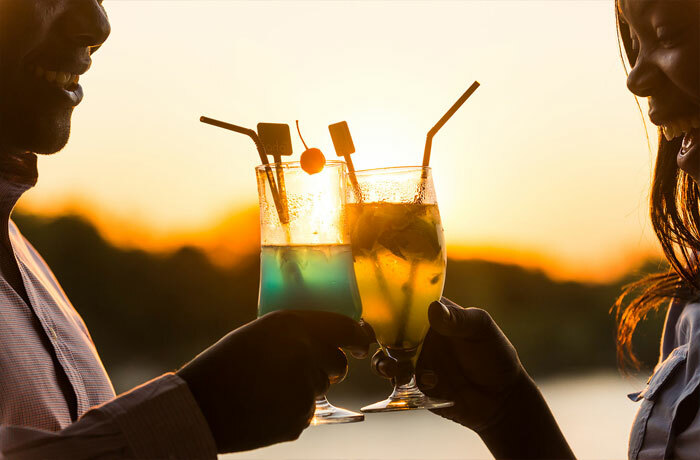 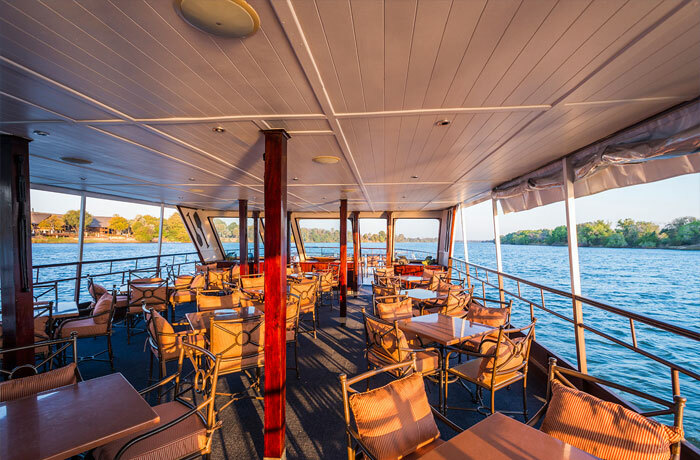 Based at the hotel is the luxurious river cruises called The Lady Livingstone, the perfect way to enjoy a sunset drink on the river. 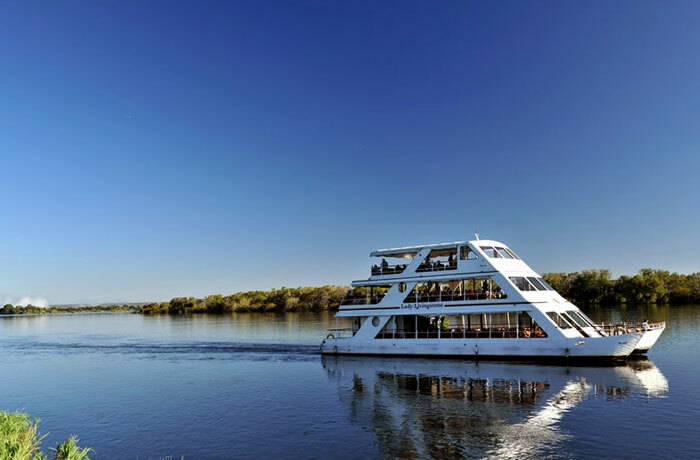 Cruises depart daily from the hotel and include delicious snacks and drinks as well as the opportunity to see a stunning African sunset from the river and the chance to see some wildlife such as hippos, crocodiles, elephants and many more. 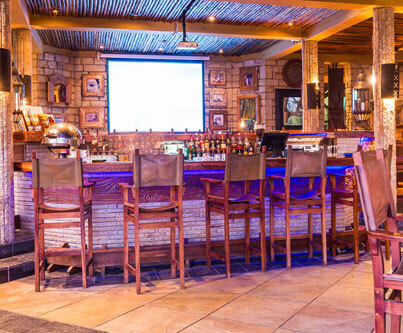 You can book The Lady Livingstone here. 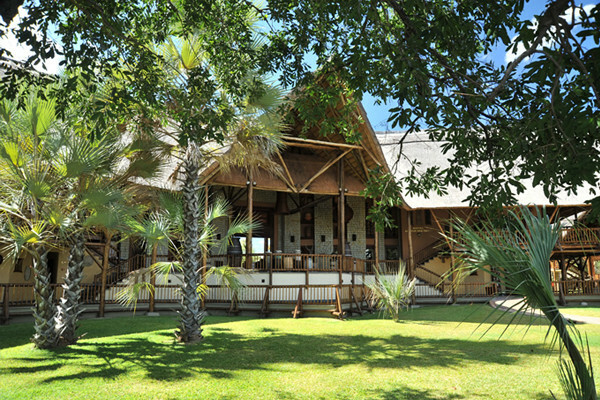 Also based at the lodge is the best conference facility available in Livingstone which was opened in August 2014. 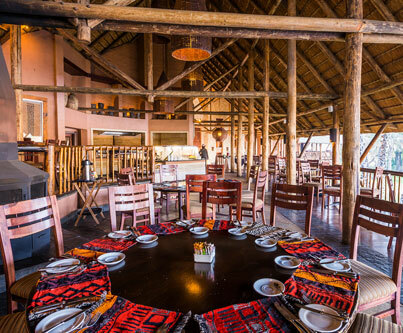 Perfect for any group function whether it be a conference, team building events, banquets or weddings.